R1 Concepts Premium Series are created with high carbon for better, stable performance that will meet or exceed OEM standards. Each rotor has the same vane counts as an OEM rotor and will fit your vehicle without any modifications. R1 Concepts Premium Series are created with high carbon for better, stable performance that will meet or exceed OEM standards. Each rotor has the same vane counts as an OEM rotor and will fit your vehicle without any modifications. R1Concept's black electro coating process will help protect against rust and extend the life of the rotor. In addition, the brake rotor have center split core castings for increased strength and stability. 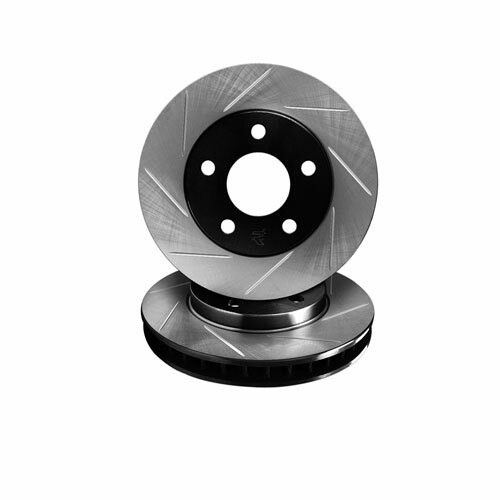 Every brake rotor is double disc grounded and mill balanced to minimize any thickness variations and vibrations to provide quieter and smoother stops. 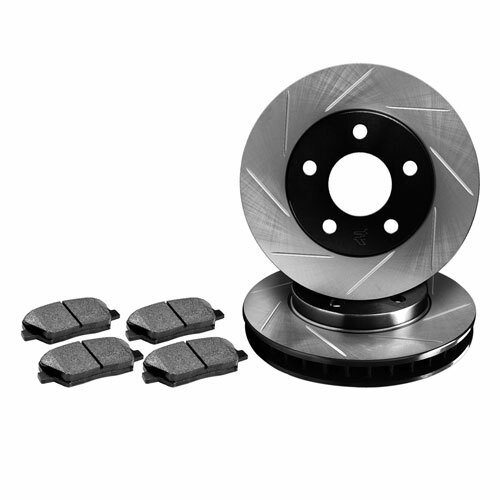 Every Set of R1 Concepts Premier Drilled & Slotted Rear Brake Rotors comes complete with a set of pads and includes wear sensors, if applicable. The Premium series uses high carbon which results in a stronger rotor that can handle more demanding driving styles and conditions. In addition, the Premium Series rotors uses a black electro-coating process that gives the rotor a two-tone color finish which will also help protect against rust. The Premium Series also have center split castings while the E-lines series do not.